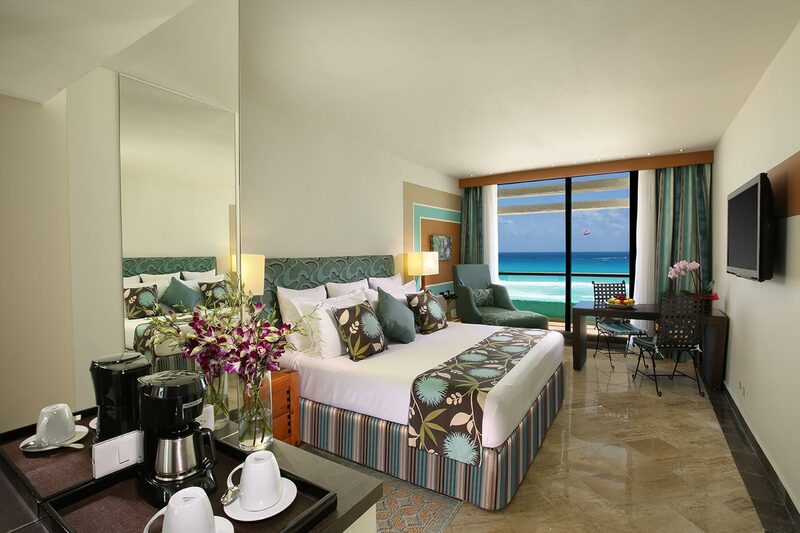 Every room boasts luxurious amenities and a balcony with amazing views of the Caribbean Sea or Nichupté Lagoon. 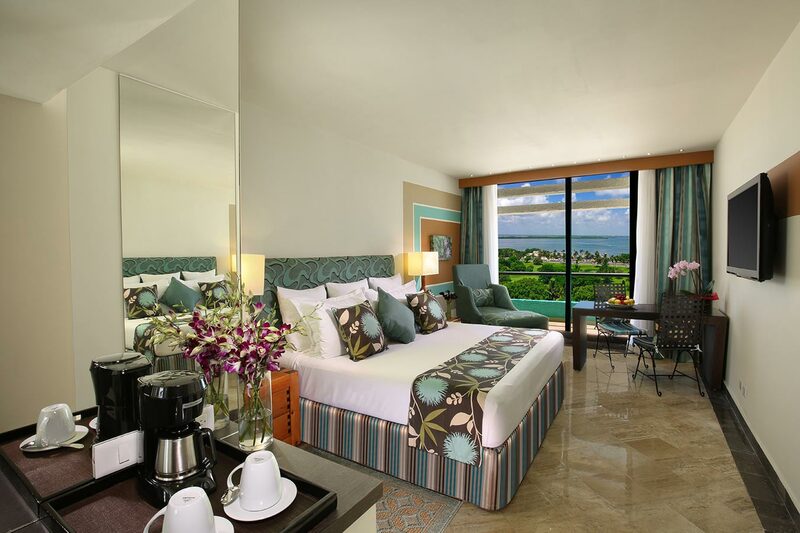 Enjoy paradise from your gorgeous newly renovated rooms featuring air-conditioning, a private bath with shower-tub combo, and a king-size bed or two double beds (assigned at check-in; subject to availability). 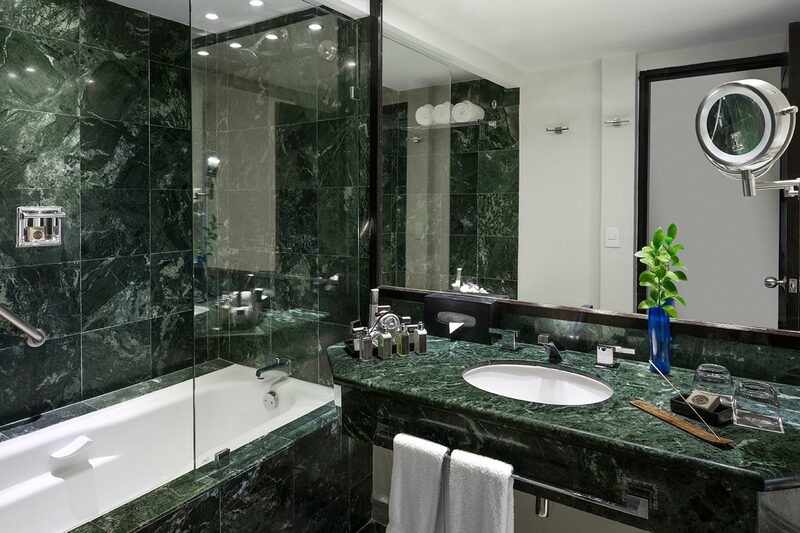 Relax with cable TV, upgraded mini-bar with water, soft drinks, beer and snacks, direct-dial telephone ($), alarm clock, room safe, FREE Wi-Fi (up to two devices per room), beach towels, hair dryer and bath amenities. 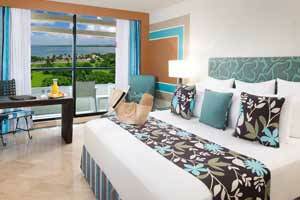 Luxurious balcony and amazing views of the Caribbean Sea. 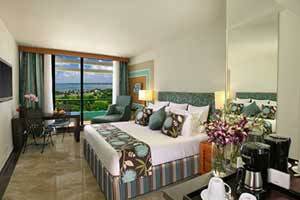 Luxurious balcony and amazing views of the Nichupté Lagoon.